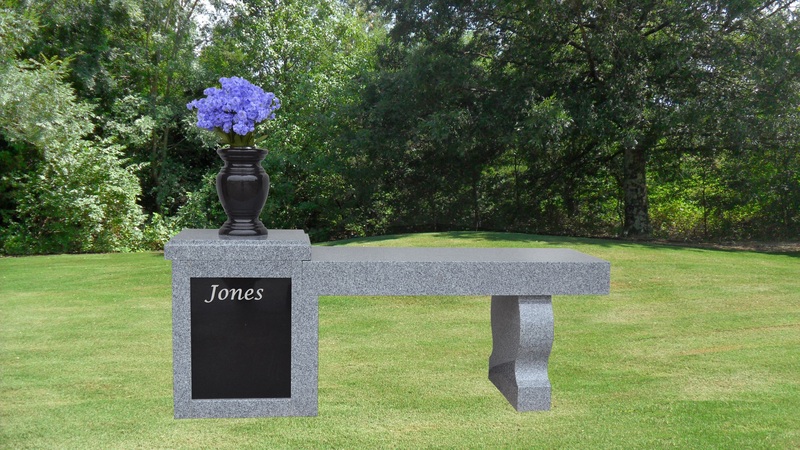 This deluxe design–50″ x 14″ x 20″ high–features a solid pedestal and a harp-shaped leg for supporting the straight and a large chamber in the pedestal (11″ x 12″ x 16″ high) which can hold 2-3 cremation urns or canisters. The large polished granite door covering the chamber can be removed for sandblasting or etching of names, dates and for placement of porcelain portraits. The front edge of the straight seat can be sandblasted with a family name , scripture or other text. An optional flower vase can be placed on top of the pedestal. Bench with 48” long straight seat with an oval shaped back and straight legs Legs are secured with dowel pins to the seat. All granite construction with polished exterior finish. Shipped in four pieces for final on-site assembly. 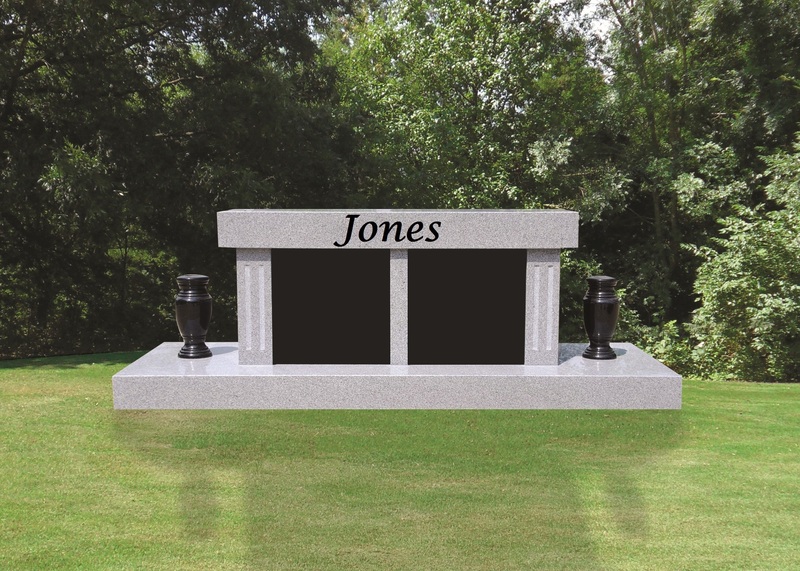 This large deluxe design–66″ x 24″ x 22″ high–features fluted column supports on each end and two large cremation niches (14″ x 9″ x 14″) which can hold up to four cremation urns. The polished granite doors covering each niche can be removed for sandblasting or etching of names, dates and for placement of porcelain portraits. 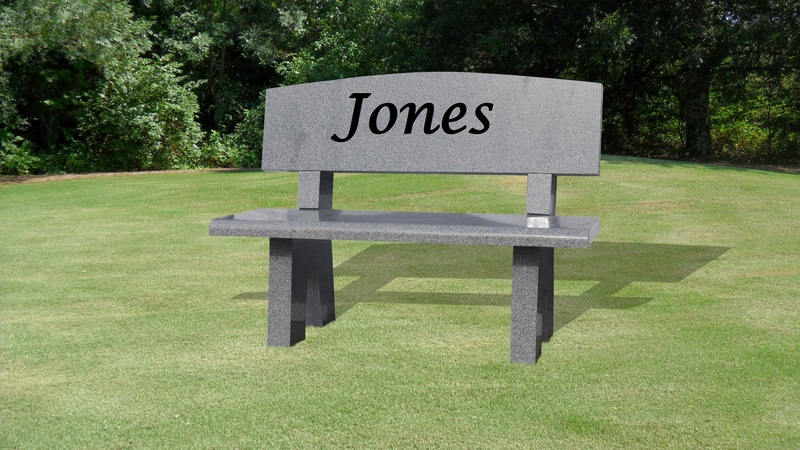 The front edge of the straight seat can be sandblasted with a family name , scripture or other text. The bench includes a large base for placement of flower vases. 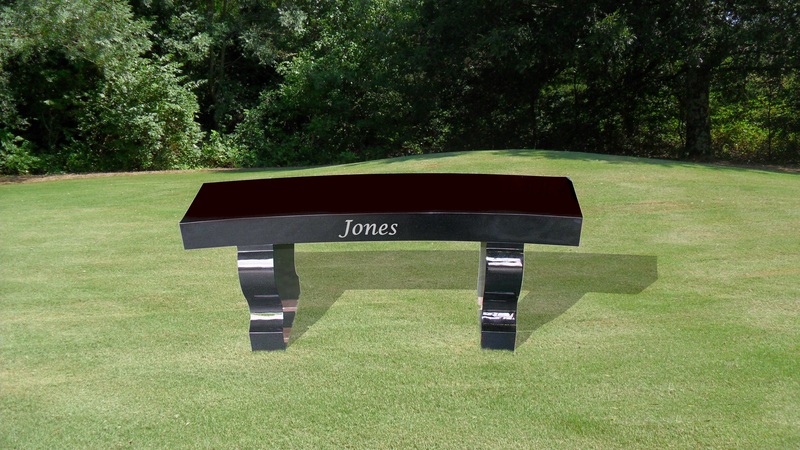 This deluxe design–48″ x 14″ x 18″ high–features a solid pedestal and a harp-shaped leg for supporting the straight with a 6″ x 10″ core hole in the pedestal for storing cremation canisters or cremation ashes. 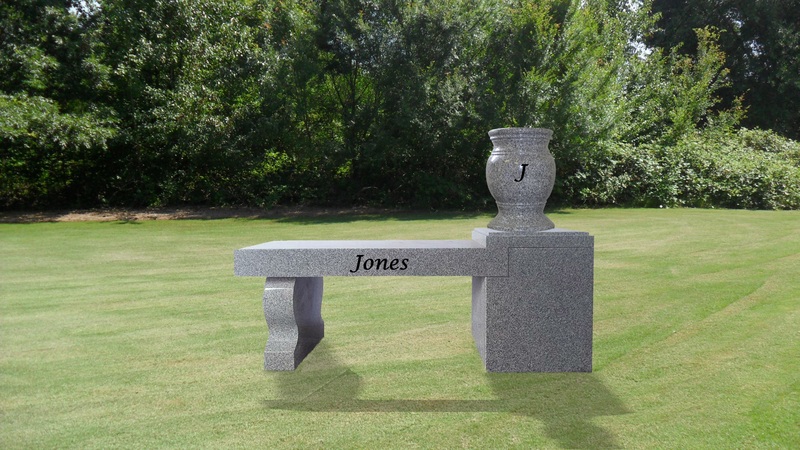 The front edge of the straight seat or the front of the pedestal can be sandblasted with a family name , scripture or other text. An optional flower vase can be placed on top of the pedestal.